Silolona is an exquisitely built 50-metre phinisi sailing yacht constructed by the legendary Konjo Boat Builders to German Lloyds specifications. Using the finest tropical hardwoods, this beautiful vessel was hand built in the jungle, just as her phinisi cargo ancestors were. 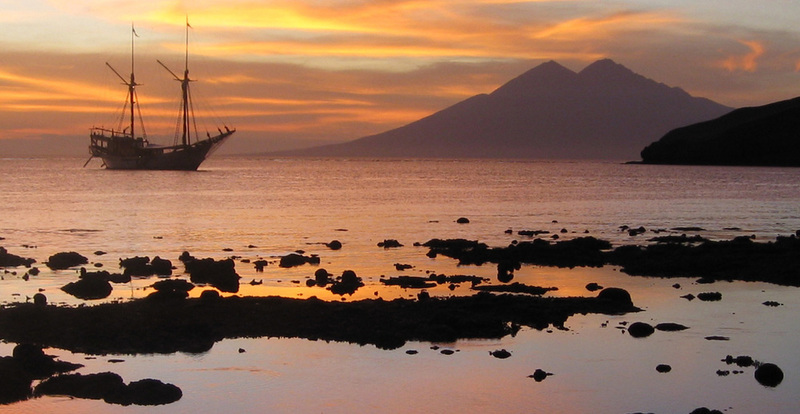 Based on the ships that historically traded along the spice routes in the region, Silolona embodies the essence of Indonesia’s past together with the contemporary luxuries expected of a modern day superyacht. 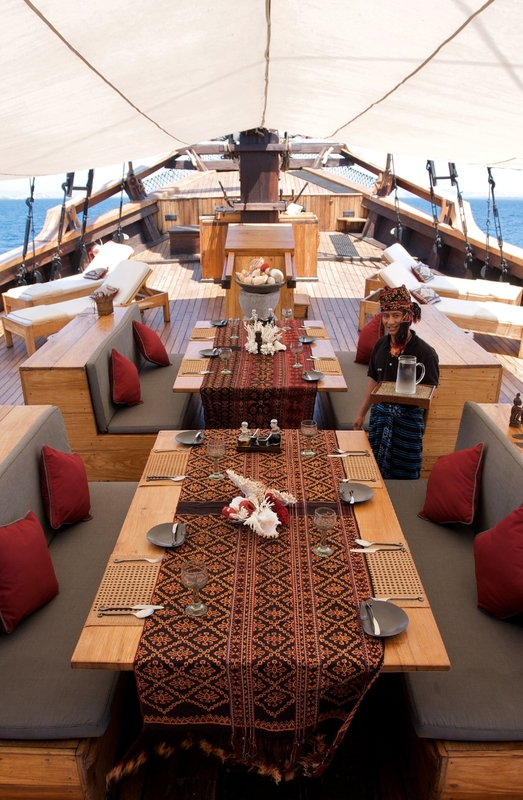 The result is an opulent vessel that evokes the spirit and heritage of Indonesia’s magnificent islands. 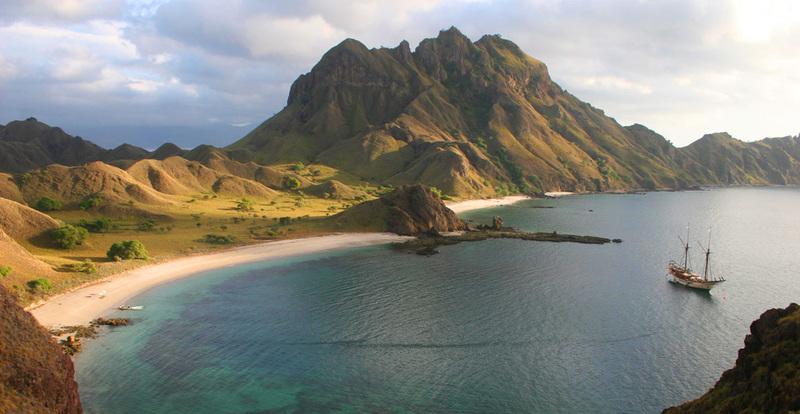 Silolona travels between the islands surrounding Bali and Lombok, the dense jungles of Sulawesi, Raja Ampat’s remote reefs and the UNESCO World Heritage Komodo National Park to name a few. 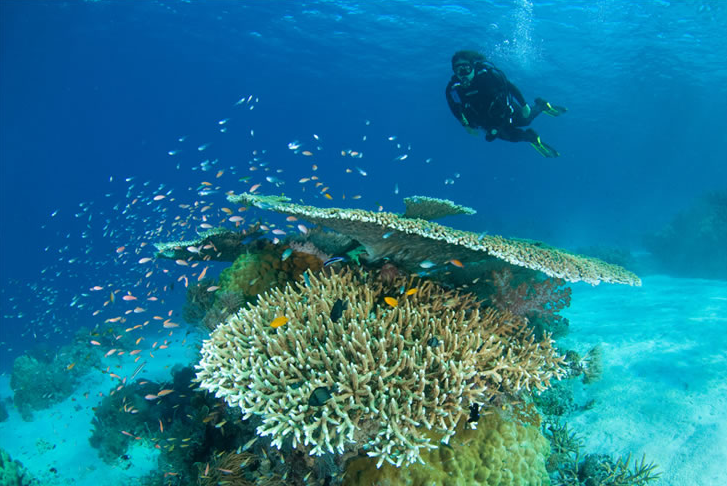 Silolona is an ideal choice for families or groups of friends looking to sail in truly authentic style, and her crew of 17 includes an expedition leader, chef and dive instructor. Her team is known for an in depth knowledge of the culture and customs of Indonesia. Silolona has 5 classically decorated, romantic guest cabins; 3 have king-size beds with additional lounge areas, while 2 have double beds. Adorned with traditional woven textiles and Indonesian artefacts, these cabins combine the warmth of solid wood with neutral cream tones, creating an elegant, relaxed ambiance. All cabins feature air-conditioning and ensuite bathrooms. An indoor lounge and dining area is naturally lit with large windows, carrying through the theme of wood combined with cream linens and printed textiles. Outside, there’s a beautifully lit lounge area with daybeds, sunloungers and ample space for alfresco meals at the dining table. 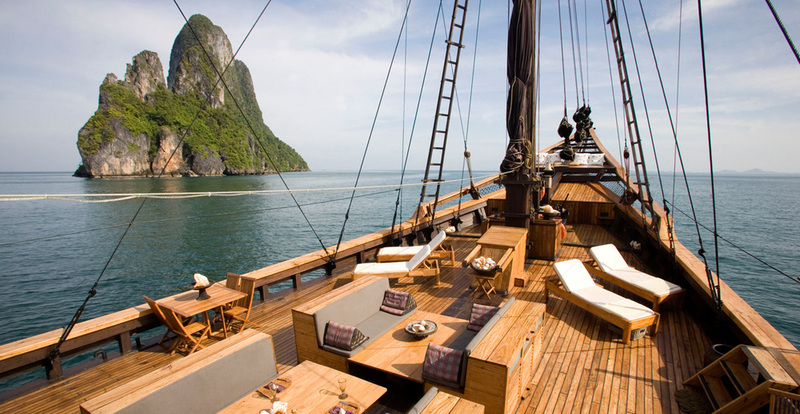 Two additional lounge spaces are fitted on the bowsprit and the aft deck, providing room for relaxing in the shade and taking a moment to appreciate the exquisite landscapes that Indonesia has to offer. The dedicated chef prepares menus according to guests’ preferences, with culinary creations including traditional South East Asian specialties as well as classic Western fare. 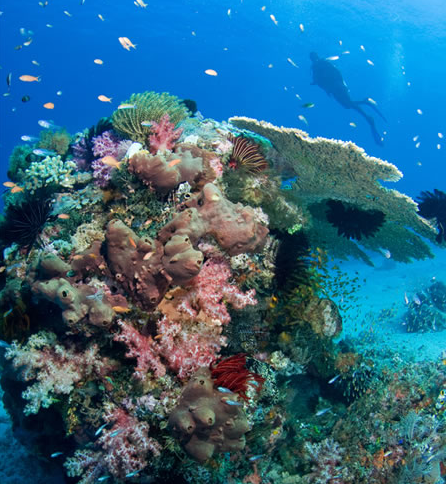 Onboard, Silolona is equipped with a PADI dive centre, waterskis, wakeboards, kayaks and fishing gear. Silolona was built in 2004 and spans 50m with a beam of 10m and a draft of 3.1m. 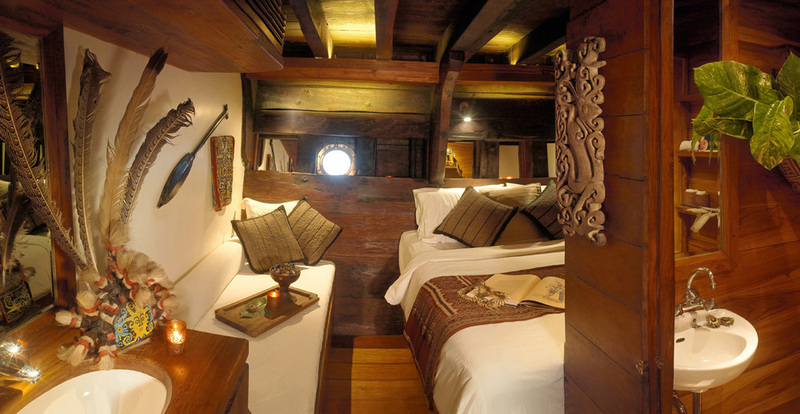 5 cabins, made up of 3 king-size suites and 2 double cabins, can accommodate up to 10 guests. She has a maximum cruising speed of 12 knots.